Alcohol laws prevent many wine clubs from shipping wine to certain states and counties. Alcohol laws prevent many suppliers from shipping wine to certain states and counties. 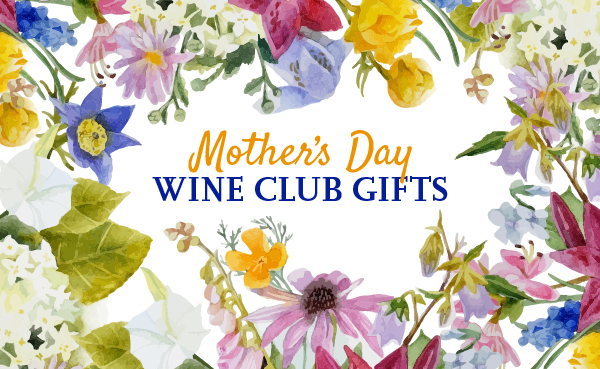 A 12-bottle personalized wine club that begins to get to know your preferences with a six mini-bottle wine tasting kit delivered for $6.95. By signing up for the tasting kit experience you are automatically enrolling in regular wine club shipments, 12 bottles delivered quarterly for $149 plus $19.99 shipping. Their best feature is total control of your account online without having to contact customer service — change the contents of your shipment, change your shipment size, have your next shipment sent exactly when you want it, or even cancel online. The wines offered in the $6.95 tasting kit have extreme profiles (likely the best way to identify the boundaries of your palate) but the experience is fun anyway. It's important to note: rating the wine triggers the first full-price case to be shipped. For You Join today and get a $40 tasting kit for just $6.95. Click for This Deal. A TastingRoom.com membership costs $149.00 for 6 bottles of wine. Shipping costs extra and is $19.99 per shipment plus sales tax where applicable. The price per bottle, with shipping, ranges from $14.08 to $28.16 depending on how you configure your membership. Shipments are sent bimonthly. Subscribe and cancel any time. As one of the first personalized wine clubs — which we define as getting wines customized to your palate — TastingRoom.com stands out from traditional wine of the month programs. For the first couple of years, wines were selected for you based on your initial preferences as determined by the tasting kit and then later, as you rate your wines, the selections were further refined by TastingRoom's WinePrint™ algorithm. Now TastingRoom allows you to swap out wines selected for you. You can select any or all of your wines. Note: if you select wines that are out of stock when the shipment is packed, they will pick something else for you and likely not warn you. Once upon a time there was this really cool wine company that invented a technology allowing wine to be rebottled in these minis without oxidation occuring. They were sold in a group as a remote wine tasting experience and even had a wine club where you could buy full-size bottles at a discounted price. Unfortunately that very awesome company spent money faster than it earned it and was forced to liquidate its intellectual property and assets. Lot18 Holdings, Inc. (TastingRoom.com's parent company) purchased the bottling technology and created their own wine club around it — Tasting Room by Lot18. The premise is intriguing. Taste six mini bottles of wine, then tell Tasting Room what you liked and what you didn't. They use this information to get an understanding of what kinds of wines you like — my results came back as "Subtle, Sophisticated Reds" and "Round, Luscious Whites" (more on this later) — then each quarter they select full cases of wine from their inventory to match your preferences. Two white wines for the tasting. My little Riedel O Riesling glasses were a perfect fit for the included tasting card (not included with the kit). Four red wines for the tasting. I had to get creative on glassware and used my vintage cordials which ALMOST fit on the tasting card. I used my iPad for the digital portion of experience so I wouldn't have to do it at my desk, but you can do it on your phone, too. 1) The wines in the tasting kit are extreme. This is probably because they each highlight really important flavor profiles that help the algorithm pick wines for you later on, or at the very least, identify your "Wine Profile" and convince you to buy the next case. To some folks, these wines were horrible. 2) Your first case does not reflect your preferences. To us, this is lame, but not a reason to not join. Within 24 hours of rating the wines in your tasting kit, your first shipment will be packed and on its way to you. In my experience, only about half of the wines in the first case understood my wine profile — not a great first impression. I suspect this is largely because the six wines in the tasting kit are "rough cuts" and they really haven't learned enough about your profile to get it right. We have found that subsequent shipments where we rated the wines we received improved dramatically. I believe the more wine you receive and the more wine you rate, the better your experience gets. We've received four shipments of wine since the tasting kit experience, but I felt like even the second full case was much better than the first. Continue reading to get more details about specific aspects of why we give TastingRoom.com a 4.5 star rating, despite some shortcomings in the tasting kit and general marketing gimmickry. At WineClubReviews.net we take an objective approach to our star ratings system. Our written reviews are very much subjective, based on our 8+ years of wine club review experience and our own ideas about what good wine and good value mean. The star ratings are based on 11 attributes that we feel define what a wine club should be. Here is how Tasting Room by Lot18 stacks up on these traits. Note: This rating is our objective analysis of Tasting Room’s satisfaction guarantee—not our assessment of whether or not you’re guaranteed to be satisfied with their wines. "What do I do if I don't like my wine? Everyone's tastes are different, and we want to make sure you only receive the wines that suit you. If for any reason you receive a wine that doesn't meet your expectations, just let us know and we’ll promptly replace it or credit you for it." There are few clubs that have elevated the wine-buying experience to truly convenient (let’s face it, shipping logistics can be a major hassle), but TastingRoom.com is a master at convenience in online wine buying. They have an unprecedented level of online control for your account — change your number of bottles, your selection of wines, or your shipment frequency easily online. Going on vacation or have a really busy week coming up? No problem, just change your next shipment date to one that works better for you. They also offer "Ship it now" if you've already run out of your last case and are ready for more (parties and hostess gifts are known to eat into your collection). Even cancel your membership without picking up the phone — just remember to do this BEFORE you get your shipping notice. They're sticklers for you paying return shipping and a $15 restocking fee. A personalized wine club used to mean you picked the color of your wine and maybe how often you received your two-bottle selection. Now it means the wines in your shipment are picked specifically for you and what you like. There is competition in this space, but Tasting Room holds their own. There’s something to be said for “no surprises” but the adventure of trying wines you wouldn’t have picked yourself has its charm, too. Regardless, Tasting Room’s brand of personalization is pretty thorough. By rating the wines you receive, their algorithm gets smarter over time. If you see something in your shipment that you don't like, you can swap it out for another wine. Try something new, reorder an old favorite, it's up to you. That's pretty personalized! Figuring out what “retail” is can be challenging when assessing TastingRoom.com because they make most of their own wines. Their general assumption is that retail value would be double (or more) what you pay for these wines as part of your membership. For the wines they purchase from independent wineries, you can expect prices to be 15-45% below retail. As we always do, we spot-checked a few of the wines to see if their savings claims were legit. We researched via Google and the Lot18 website where they sell to a broader audience than just their wine club. We found the wine club pricing to be consistent with, and often favorable to, the regular Lot18 prices. If you're buying wine bottles outside of your club shipments, your price depends on how many bottles you're ordering: 2 bottles are $20 each, 6 bottles are $15 each, and 12 bottles are $14 each. Wine taste is subjective, but quality is not especially. A fair number of folks have not liked the wines offered by TastingRoom.com. I suspect this is because they're used to drinking pricier wines (think $20-30 per bottle for reds, or $18-22 for whites) and the wines from TastingRoom rarely reach they typical level of quality you'd expect in that price range. Now, in fairness, if you're buying 6- or 12-bottle cases, you're paying $14-15 a bottle for a personalized delivery service... It's fair to expect wines that taste like other wines in this price range and not fair to expect more. So... if you normally drink wines in this price range, then you'll like the quality. If you normally spend more on your wine, this might not be a good fit for you. 1) People didn't know they were signing up for a wine subscription and were surprised by the first case of wine they received. 2) People didn't like what happened after they received the first case. 2b) Some people didn't like the return shipping costs and restocking fees for the wine they didn't think they ordered. 3) Dissatisfied customers found it difficult to cancel. This should not be an issue anymore. You can cancel online with the click of a button. I've done it, it works. Just don't forget to cancel BEFORE you receive notice that your next shipment is on its way (and they do warn you before they ship it). We look at three areas when evaluating the discount opportunities offered by a wine club. Is there an introductory offer to sweeten the deal? Are there discounts available for buying more of wines you loved in your shipments? Are there special discounts only available to members? At this point, TastingRoom.com doesn't offer any discounts from these categories. You can consider the tasting kit for $6.95 an introductory offer, but we don't think it qualifies. Now here's an interesting subject... TastingRoom.com USED to sell Lot18 wines through their membership. Now they private label or custom produce almost everything they sell, so you COULD say it's highly curated. For us though, what it tastes like, is that they make wines to fit their Wine Profiles, not fit great wines to their Wine Profiles. Personalized wine clubs like Tasting Room by Lot18 are still pretty rare, but where TastingRoom.com really stands out is in the sampler experience. No other wine club offers this sort of try-before-you-buy opportunity — even if the experience is lacking. The education style for Tasting Room by Lot18 is different than other wine clubs. At other clubs you get a glossy (or not) printed brochure detailing how the wine was made, a bit about the wine region, the winemaker, and the winery. This is usually accompanied by food-pairing recipes and other trivia. TastingRoom.com takes another approach—they teach you about the characteristics of the wine as you experience it to help you learn what kinds of wine you like. They do this by providing a detailed tasting note and a graph of the wine's flavor profiles, as well as drinking suggestings and pairings, and the region the wine comes from (See below). If detailed information about the vineyard, the winemaker, or the winery is critical to your wine club experience (mostly wine geeks like this), then this isn't the club for you. For everyone else, this is useful information. Also, the savings of not creating and print tasting notes likely helps TastingRoom.com keep their costs low. We think TastingRoom.com makes the perfect gift for a young person who's just getting to know wine or your favorite wine-lover who typically spends $12-15 on a bottle of wine. The gifting experience consists of the recipient receiving a redemption code for their gift, then they go through the process just like a new customer. They get the tasting kit, and then they get six bottles of wine based on the results of the kit experience. Shipments are $9.95 for the sampler and $149+$19.99 for future personalized cases. WinePrint™ technology sets this wine club apart from other personalized wine clubs. You will be given advance notice of all club shipments and have the ability to cancel before shipment. Hey there! You are welcome to add your own feedback. This comment feed is moderated—meaning we'll review and manually approve any comment before it gets posted to the website. As with other people on this list... I paid for the sample pack, and they immediately billed me for a full case without any authorization or even notice!! Incredible! I saw the charge on my iPhone thanks to AmEx "mobile alerts" when I woke up on a Saturday morning. Their customer service is only open weekdays before 6pm, but I sent an email to their cancelation address with full order # etc. I received an automated reply and quickly formalized my full "membership cancelation" right after - still on the weekend. But on Monday they still shipped the case. When it arrived I tried to return, but they will not accept a return unless you pay for it yourself!! The customer service agent was rude and not apologetic at all - just kept telling me that's how it works since I canceled after the order was processed. I kept reminding her that they made the order themselves without my authorization. Even when I said "this isn't acceptable - I will just dispute via AmEx, BBB, and others", she said that's fine, go ahead. While we're sorry you had a bad customer experience with Tasting Room, it is clearly stated on the web page where you input your credit card number that your first case will ship 24 hours after you receive the tasting kit. Always read the fine print, and in this case, the regular size print. Do not use this service! They actually will lie to you. I received an email from them where they said that UPS would attempt 3 deliveries and then hold the package for 5 days. Given you need a 21+ to sign it was easier for me to just go and pick up the package. Well UPS didn't hold the package for 5 days, they sent it back to the company. The company then charged my credit card another 15 dollars on top of giving only a partial refund. I wrote to the several time about this trying to resolve it. They ignored half the message, then said that UPS holding the package was not guaranteed (which was not in their message) and said they will not refund the 15 dollar charge nor the shipping. It's incredible dishonest. I have filed a complaint with my credit card company to contest all the charges. I suggest you all do the same until the company realizes that they cannot lie to their customers to make money. I have joined several wine clubs, this is by far the worst. While we acknowledge there were some significant problems encountered by this customer, they seem to be UPS problems and not Tasting Room by Lot18 problems. We checked with UPS and their policy is to make three delivery attempts on consecutive business days, then hold the package for 5 business days before returning the package to the sender. We strongly recommend signing up for UPS My Delivery Choice program to keep better tabs on packages and send better instructions to them when normal delivery isn't an option. Similarly, FedEx has a program that does the same thing and it's wise to sign up for their program, too. Terrible experience. Stay away. Do not give them your credit card number. I tried to cancel subscription and sent 2 emails to ask explicitly to cancel (in February and again in April) but never heard back from them. One day in May a nondescript box shows up at my door, without any prior email notice of shipment. Suspicious, I checked my tasting room account online and noticed that the subscription was still active and they'd charged $168.99 to my card. Customer service said they will not take back the wine, even though I explained that I tried to cancel. After being unhelpful via customer service, they fought back and over turned the dispute I filed with my credit card company. It has taken me nearly 5 months to get my money back by filing a complaint with the BBB. I have since cancelled this credit card so they may never charge me again because I don't trust this company at all. This is not a 5 start club. I have received 3 shipments from them thus far and the wines are mediocre at best. They may have a clever concept of creating a wine print but you can not edit the types of wines you want to receive once you have completed your tasting review. Jessyca mentions in her disclosure that she gets compensated by some of these wine clubs, that is the only explanation for a 5 star rating with no shipment reviews... get real. Hi there. Thank you for your comment, Andy. We appreciate all customer feedback regarding our clubs. To be fair, we have many clubs on this website that we get paid for (some of them even pay more than Lot18) but not all clubs get a 5-star rating. Not every 5-star wine club is right for every wine drinker though, and perhaps this was not a good fit for your particular taste and what you want from a wine club. We're happy to help you find one that works better for you. I can't find a list of the wines they send? Which wineries they carry? Or if they send Rieslings at all? Avoid this club! I ordered their sampler pack, and before it arrived they were pressuring me to buy wine. I changed the settings to "every three months" and received an email that the next shipment wouldn't be sent for at least a month. However, just a couple of days later, they sent a shipment. I emailed them and explained my discontent and Melissa replied that they would not budge. HORRIBLE CUSTOMER SERVICE, as far as I am concerned. Avoid, avoid, avoid! They ship without your consent and before you are able to rate the wines (crappy wines I will add) they send.You might think this service is neat until you don't have a chance to even try out the samplers. They will automatically send you a shipment even if you call them in enough time to suspend/cancel the shipment. I called the day I was billed and asked if it had shipped. It had not shipped. They could not provide tracking yet. It was two days later I get the email indicating it shipped when I had expressly indicated I did not want the order. So I did not accept the order. Now I am out shipping and handling and a lousy restocking fee on top. This service is bunk and has the worst customer service of any company I have dealt with in my life. The person I spoke to was polite but useless as my order was never cancelled, it shipped, I returned it, and they stuck me with fees on top of fees. If you don't mind some algorithm picking your wines for you based on the inventory they need to move the most then this might be ok for you. If you are someone that wants to actually rate a wine and have the best selection sent then this service is not for you as they won't wait on your selection. They will just ship out what ever is in the inventory and who cares if you are not expecting the billing or shipment. It is automated. Too bad you didn't try our sampler kit sooner. And forget asking to speak with a manager about their lousy practices. That person with that title isn't going to do anything about their poor customer service. So call and try to cancel an order that has not shipped. They only want to bill you or charge you the restocking fee. They don't have any concern for your actual tastes. Tastingroom.com my derrière!!! If they expect to survive they need to adjust the automation of this service. Overly automated. No efficient cancellation of orders. No accommodation to users of the service who might enjoy taking their time and leisurely rating the samplers. I think it is a scam in the way they throw lousy wine at a new member that has not indicated actual preferences. All of the light and fluffy reviews here never take into consideration the complete lack of regard to how this service is impatiently automated. Thank you for your feedback. We know TastingRoom.com doesn't have the best customer service record (it's why we give them 1 star on customer service) but in their defense, we found their website and emails to be very clear about shipping dates and they even give you the ability to pick any date in the future for your next shipment. We did feel that the first shipment of wines doesn't seem to reflect our ratings of the tasting sampler and were not impressed, but our subsequent shipments have been quite good and the value has been good as well. They do not ship without your consent. When you input your credit card information, the text on the page clearly states they will ship the first case of wine 24 hours after you receive your tasting kit. LOT18 SISTER COMPANY....HORRIBLE COMPANY! BUYER BEWARE! Do not fall victim to the bad free sample pack, as they sign you up automatically for a membership. And not just a membership, the MOST EXPENSIVE membership they offer since they offer different tiers....And if you are wise enough to catch them and cancel your account, even if you cancel 2 weeks before they process your next reoccurring order, they will send you an email that word for word says "Thank you for your message and why would you like to cancel, are you getting too much wine? Too much red, too much white?" Nothing that indicates that your account has NOT in fact been cancelled, just that they want to know why...And then they basically tell you to go fly a kite because you didn't "actually" cancel and lie saying that your order has already been processed even though it hasn't. When I tried to reason with them and explained that I emailed their company and that I wanted to cancel and even received an email response from them, I was told "The email that we sent you provided instructions to cancel, Did you read the email??" lol Implying that I am a moron, the snarkiness is unreal. ONLY then did I realize allllll the way at the bottom of their response email to my cancelling was there a small portion about how even though you emailed to cancel you still have to follow FURTHER additional instructions to cancel your account... Unreal... All of this over $40. They could have simply refunded me and I would have went away...quietly....but nope, I had to get my bank involved and the representative laughed at the idiocy of this company and how ridiculous and petty they handled me as a customer....DO NOT SET UP ANY TYPE OF ACCOUNT WITH THEM, YOU WILL REGRET IT and receive a snarky attitude from them to top it all off! The marketing and customer service for this club is quite suspect. They send you a sample kit (you pay for it of course) and then they are supposed to take that feedback and 'recommend' a tailored case of wine. THAT WAS THE PRIMARY REASON I SIGNED UP FOR THIS CLUB. HOWEVER, if you don't fill in the feedback they ship you a case of wine without your consent! Why wouldn't they call or send an email??? When I contacted cust service to tell them that they didn't use my taste feedback they pointed me to the fine print and say better luck next time. They would not take the case back nor would they offer a discount for the unwanted bottles. Convinced that they would the fine print every chance they get I quite the club. I'd be surprised if they stay in business with this kind of customer service. At WineClubReviews.net we take an objective approach to our star ratings system. Our written reviews are very much subjective, based on our 10+ years of wine club review experience and our own ideas about what good wine and good value mean. The star ratings are based on 11 attributes that we feel define what a wine club should be. Here is how Firstleaf Wine Club stacks up on these traits. Let us know what you need, we'll do our best to help! Do you manage a wine club? Learn how to get your wine club included here. Discover why so many wine clubs work with us! All reviews and guides on WineClubReviews.net are written by Jessyca Frederick. Perhaps a beer of the month club is more your speed? | Or design your own club! | Forbes & NerdWallet like us. | TheStreet.com, too! © All wine club ratings, reviews, guides, and custom photos on Wine Club Reviews are copyrighted.